It's better to be safe than sorry when you're online in public. It's time for all of us to start developing new online habits to keep us safe. Because you just never know what's going to happen to you on any given day, at any given time. That's why, for example, we have car insurance—for that one instance where we might have an accident. We all lock our doors and windows when we're away from home to keep burglars out. And today, more of us are using home security systems for even more peace of mind. We don't let strangers handle our bags at airports and hotels, or tell people we don't know our personal information. Many of these good safety habits above been passed down for generations, because good advice never changes. But it's different today in the digital world...because there has never been a time like this. The dangers of free Wireless networks. One area we all need to be more careful with is free Wi-Fi—those places that provide you with a quick, easy and convenient Internet connection. Today wireless hotspots are available virtually every time you step out of your door. Is there anything NOT to like about free Wi-Fi? Yes—the risks that could be lurking out there. Risks that are real. Hackers love free Wi-Fi too. If a hacker who wants to ruin someone's day (and hackers just don't care anyone's privacy or privacy rights), they'll intercept your data and find some way destroy it, or exploit it. 1. Make sure you're not using a hacker's hotspot. Ever notice how many network choices come up when you try to connect to a hotspot? Be careful: Hackers will often set up their own networks and give it a name that sounds legitimate, like "Free Mall Network," or "SBucks Wi-Fi." First thing to do is find out the name of the hotspot you want to connect with. Ask someone who knows. 2. Focus on your security. In other words, change your thinking about hotspots. Hotspots are NOT secure networks, so a hacker could be lurking nearby. Would you want a hacker to peer into your online world? With a heightened awareness, you'll be more careful about the types of activities you do in public, which might serve to protect you. 3. Learn about your computer's security tools. Windows (for PCs) and the operating system for Macs (Mac OS X) both have security features that are built in to their computers, but you'll need to learn about them. For instance, you can enable your firewall, go into your security settings and "block all incoming traffic," and disable file sharing. Each step adds another layer of security. 4. Use a password manager. Hackers love nothing more than stealing passwords right from under our noses by using a "keylogger" program they put on your computer that tracks your keystrokes. You can fight back by using a program that hides your password entries for every account and stores them in the cloud. No more passwords to remember, key in, or get stolen. LastPass, Dashlane, and 1Password are great password managers to check out. 5. Check the web address "lock." On your browser, look up top where the website address is. If you see a padlock icon in front of the address and "https" (emphasis on "s"), that website uses a secure connection and you can feel safe. Not all websites have it. When you're using free wireless, maybe you'll want to limit activity on sites that aren't locked. BONUS TIP: Use a Virtual Private Network! A VPN is very affordable, just a few dollars a month. 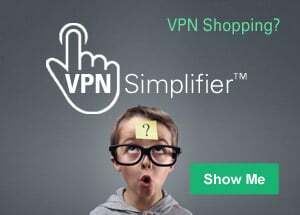 You can use a VPN anytime you have an Internet connection. It channels your Internet activity through encrypted networks and gives you a new IP address in the process. It's important to learn the five tips above, but if you do anything immediately, explore your VPN options here. Be a Hotspot hotshot...and be smart. You know all the advantages of having access to a hotspot—it makes life easy when you're on the go. And now, hopefully, you're aware of five steps you can take to help you stay out of trouble when you're online in public.